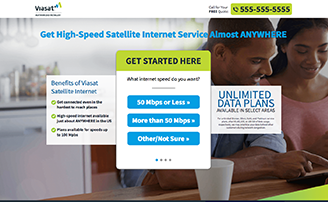 Get started with your internet plan in 3 Easy Steps! This site is a free online resource that offers valuable content and comparison features to consumers. To keep such resource 100% free for consumers, InternetServiceCompanies.com receives advertising compensation from the companies listed on this page. Such compensation impacts the location and order in which such companies appear on this page. All such location and order are subject to change. 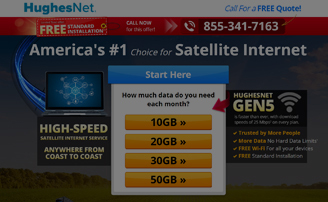 InternetServiceCompanies.com does not include all internet service providers available to consumers in the marketplace. The content, including without limitation any viewpoint or opinion in any profile, article or video, contained on this website is for informational purposes only. Any third party contributor to any such profile, article or video has been compensated by InternetServiceCompanies.com for such contribution. It is advised that you conduct your own investigation as to the accuracy of any information contained herein as such information, including without limitation any quote, is provided "as is" for informational purposes only. Further, InternetServiceCompanies.com shall not be liable for any informational error or for any action taken in reliance on information contained herein.